Dog walking that gives you the peace-of-mind you deserve with pictures and notes about your dog's day! We're here for all of your cat sitting needs anytime you're away! We'll email you pictures and a detailed report after every pet visit! See your pet's happy face and know they're having an awesome day! Our online portal makes it easy for you to schedule a visit for your pet anytime you need us. You'll also love the convenience of paying online! We take professional pet care seriously. We're licensed, bonded, and insured so that our clients and our employees are always protected. Our staff must pass an in-person Emergency Pet Care certification course to ensure we're providing the best possible care for your pet. We work as a team to ensure your pet never goes without the care you schedule. We always have back-up and an office team to support our staff. Your new puppy needs frequent potty breaks and we’re here to help! 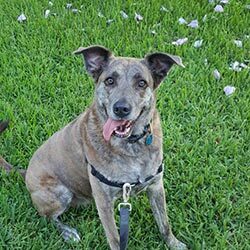 Give your dog a potty break and time for a fun walk to brighten their day! Pet sitting visits in your own home so you can have less stress and much happier pets! Trusted care for your kitty so they’ll get fresh food, water, a litter box scoop, and lots of love when you’re away! We’ll bring your dog to the wedding, help them pose for photos, and care for them on your big day! Give us a call at 843-580-2212 or get in touch online! Communication is incredibly important to us, and your online account allows us to stay connected! We'll email you a journal after every single visit with pictures, a note about our fun adventures, and you'll see a time-stamp of when we arrived and left. You will always know exactly what's going on with your pet during our visits and you'll know they are receiving amazing care! 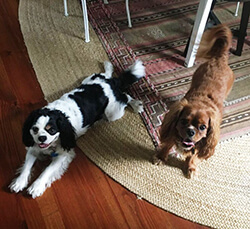 We were extremely satisfied with Charleston Dog Walker and would highly recommend their service to anybody. 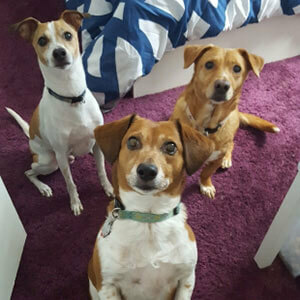 We received a prompt response to our initial inquiry, and they set up a home visit to meet our dogs within 48 hours. We needed our dogs walked during the middle of the day for a 2 week period, and not only did they accommodate this (sort of last minute) request, we received daily updates of how the walk went. The updates included pictures and little blurbs about any events from the walk. We will definitely be using Charleston Dog Walker again! We were 100% satisfied and would highly recommend them to anybody! Mallory and her team do a fantastic job and are very trustworthy and reliable. Have used numerous times and will continue to do. Our two dogs are always well taken care of and it’s nice to be able to schedule their visits and then not worry at all about their care. On time, punctual, and very professional, I very much recommend. 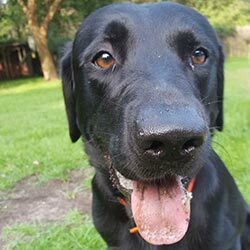 We absolutely love Charleston Dog Walker and feel that they are the best-kept secret in Charleston for pet care. For every visit, we would receive an email summarizing their visit and pictures of our pooches. It was so nice to know that they were loved and in great care while we were away. The best is that our pets were able to stay comfortably at home and not have to be drug to the kennel for a week. We will never board our pets again! Thank you so much for your help! Charleston Dog Walker is a fantastic local company. 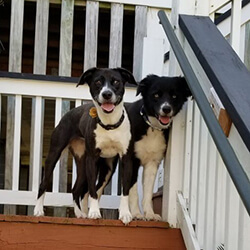 They do such a wonderful job watching our pets when we are out of town, and take the time to write detailed updates with every visit, including photos! Mallory really took the time to get to know us and our routines and makes it so easy for our animals to transition to new caretakers. Could not recommend them highly enough! The best in the business! We love the convenience of both scheduling visits and paying invoices online. The staff goes above and beyond with each visit, leaving us detailed journal entries about visiting our pup while we are away. They are truly kind people who really care for our dog. We are so thankful for CDW; they’ve made our lives a whole lot easier while traveling.